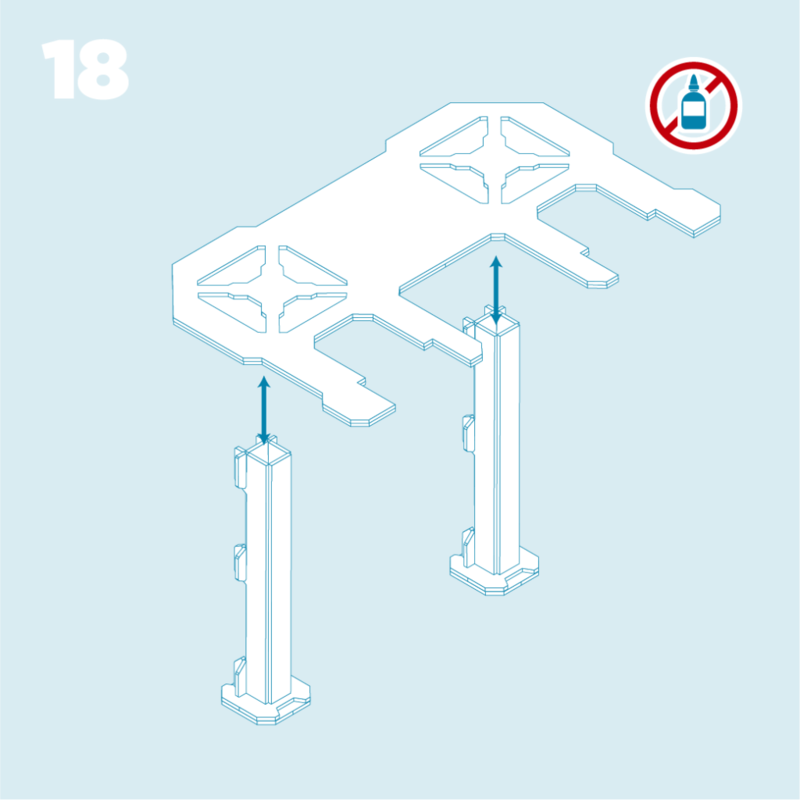 NOTE – The MagLev Rail Depot set has pieces spread across multiple sheets in some cases. If you find you’re missing a piece, find it on another sheet. Note that piece 03a is slightly different from pieces 03b and 03c. This forms the CRANE TRACK piece. 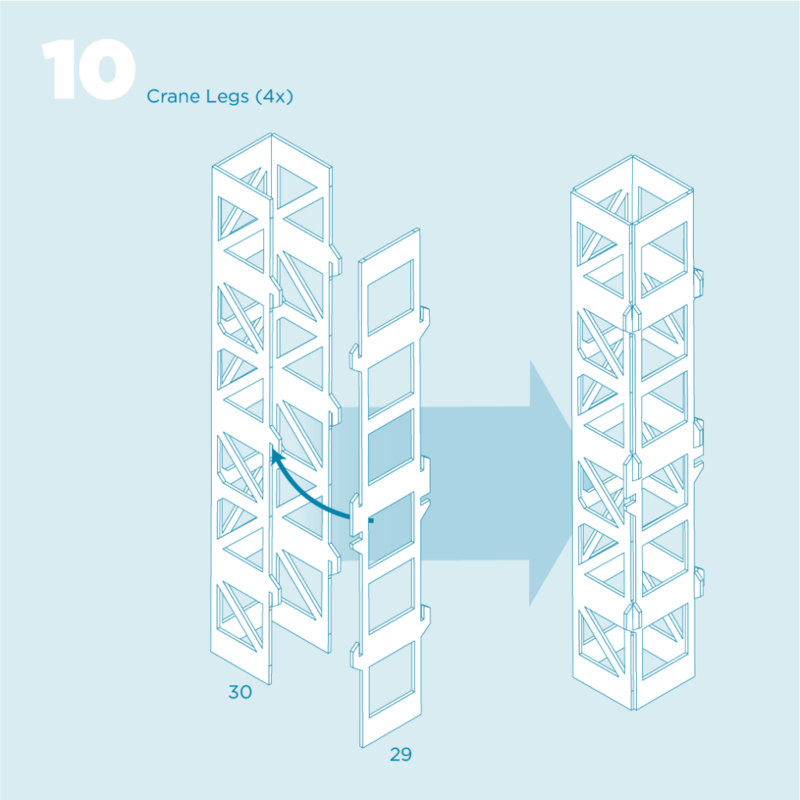 This creates the individual components of the CONTAINER CRANE piece. 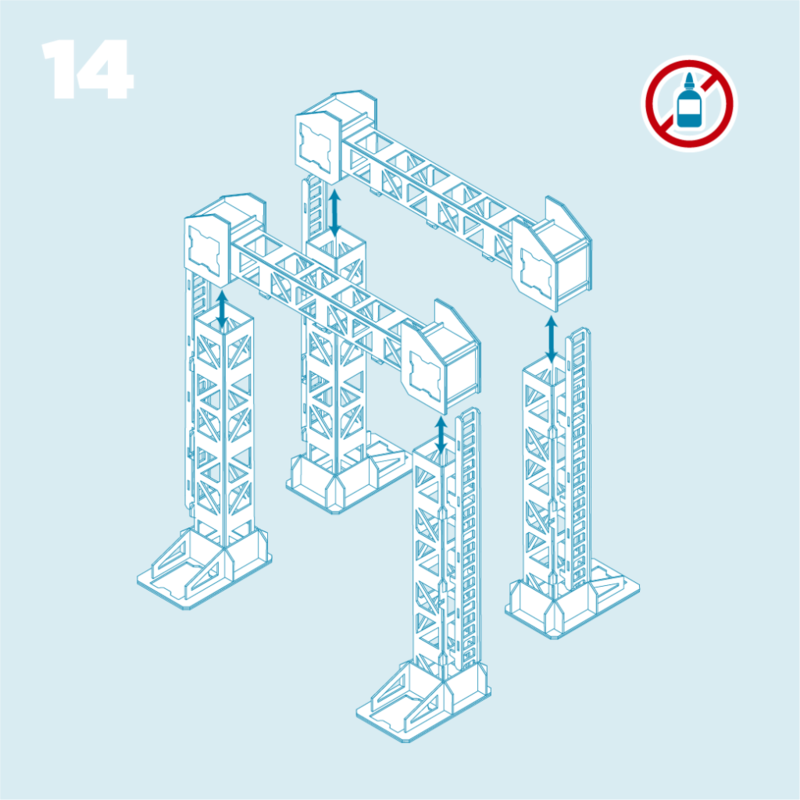 Glue and assemble the individual components of the CONTAINER CRANE as indicated. This creates the CONTAINER CRANE piece. 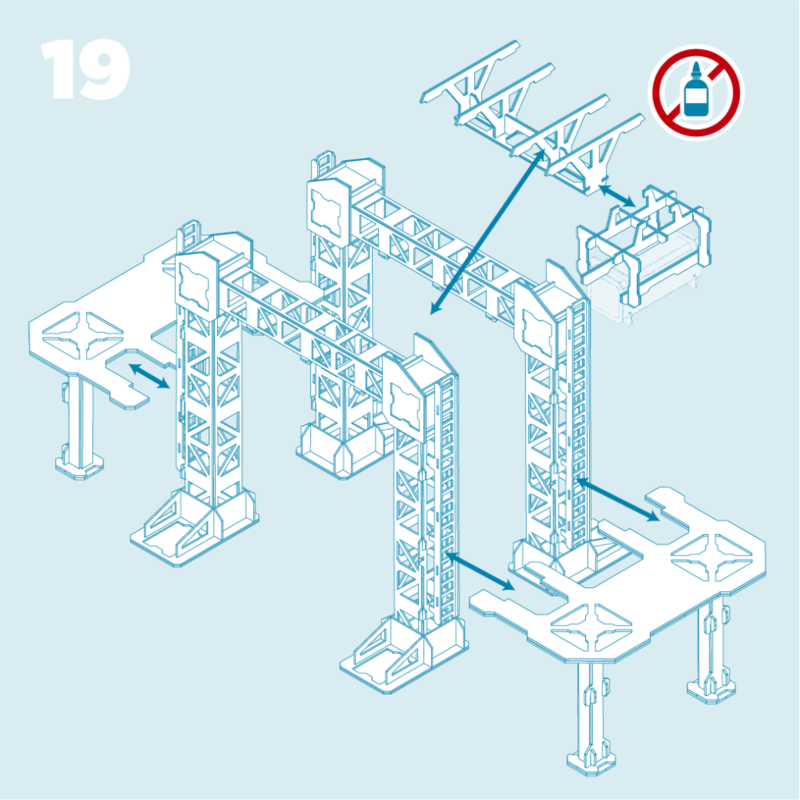 OPTIONAL – If you have Containers they will fit into the CONTAINER CRANE piece as indicated below (frame 19). 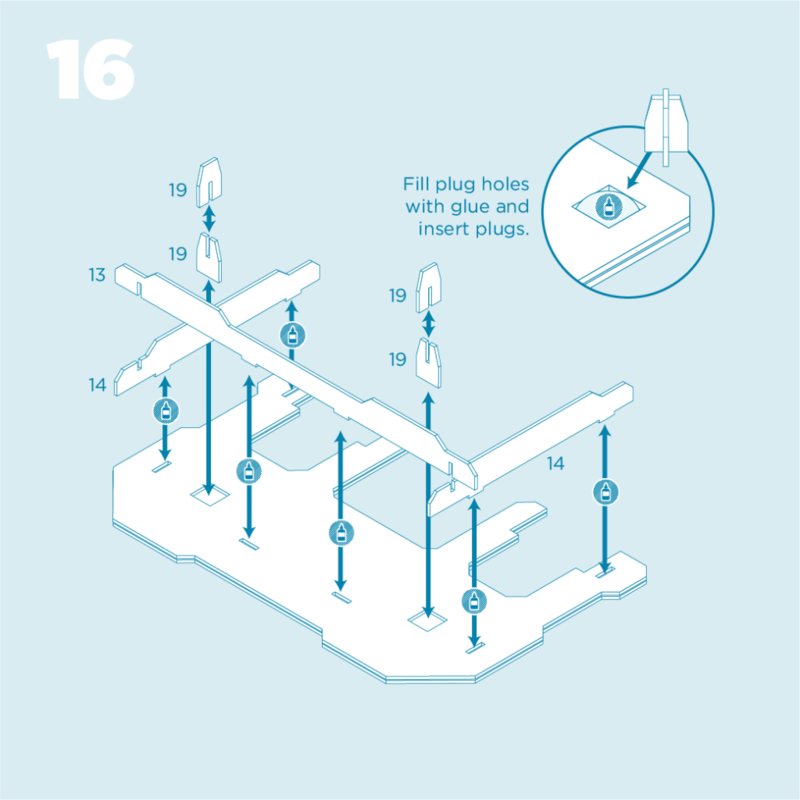 On piece 08 ensure all scores are crisply and evenly folded. 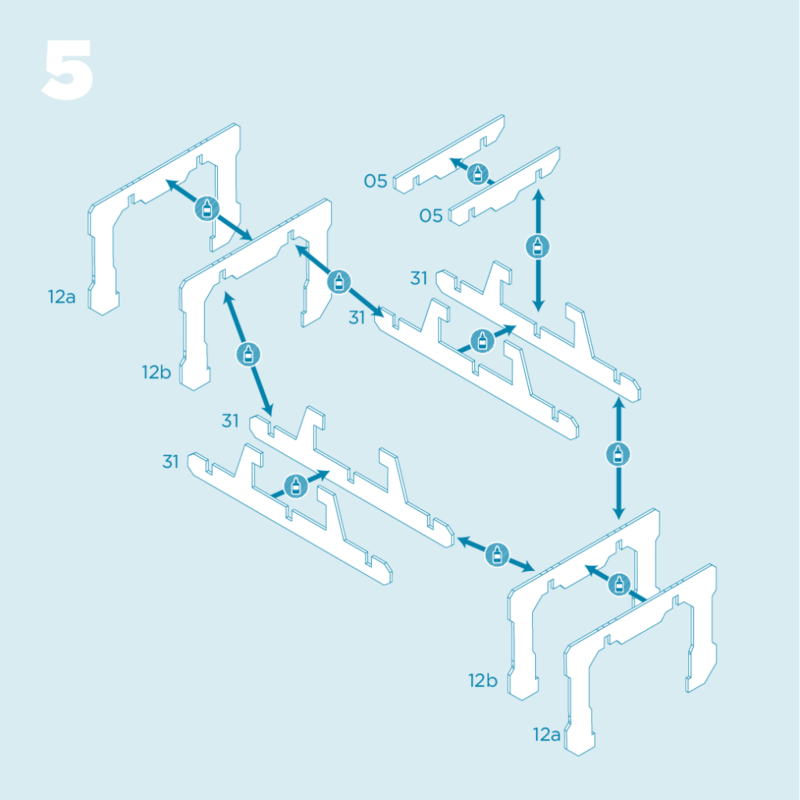 When assembling top bar pieces put glue dots in the end of the slots on the larger folded pieces before sliding on the smaller pieces. Check top bars for square before allowing to dry. These create the TOP pieces. 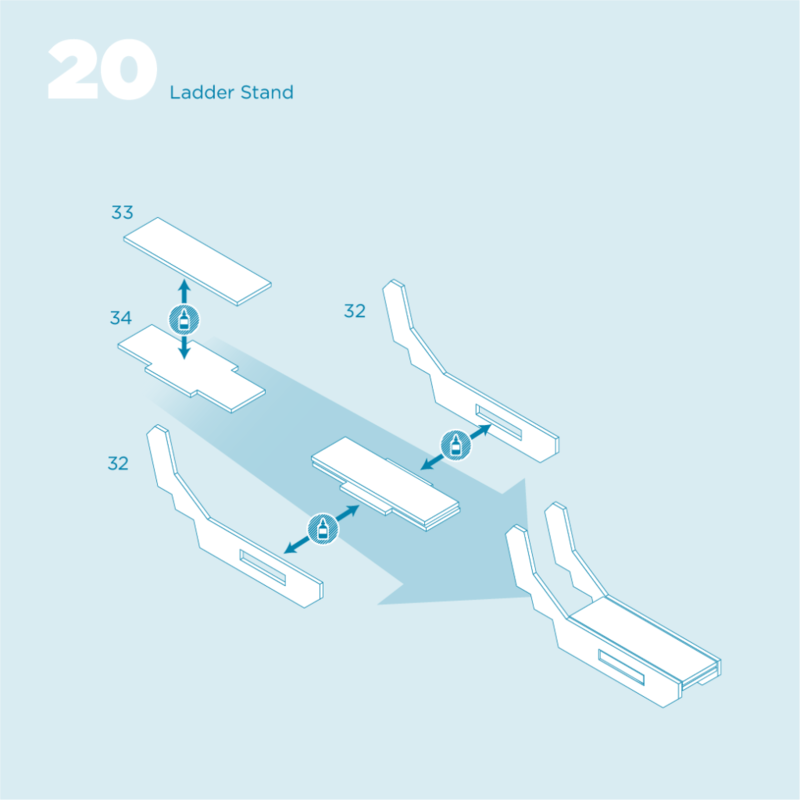 Glue and assemble pieces 20a & 21a and 20b & 21b as shown. 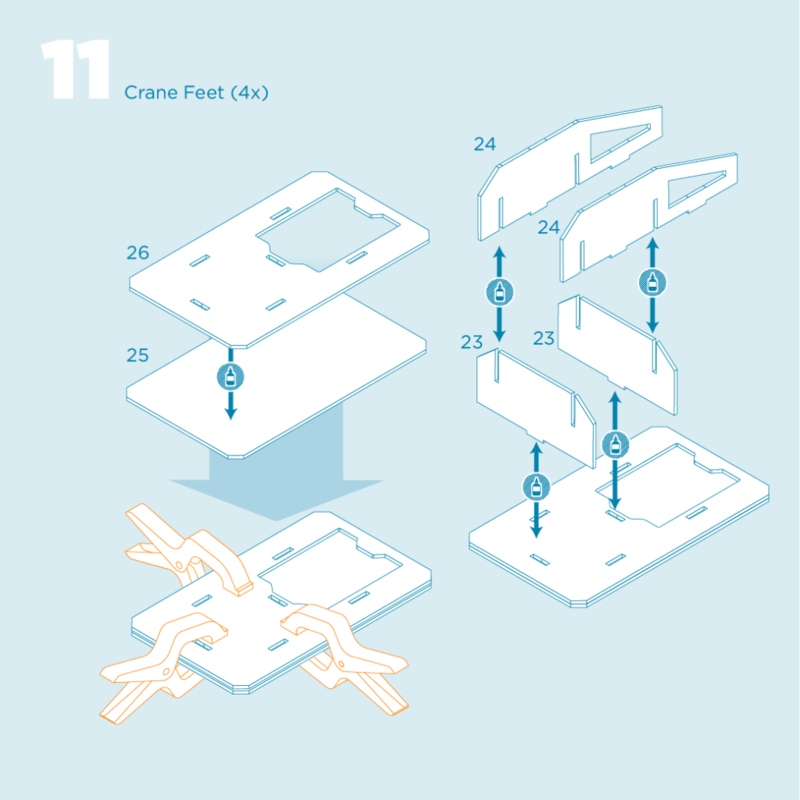 Glue and assemble remaining pieces as indicated. These create the CRANE ELBOW pieces. Glue and assemble the TOP and CRANE ELBOW pieces as indicated. The TOP pieces fit loosely into the CRANE ELBOW pieces. Center the TOP pieces before drying for best results. These create the TOP SUPPORT pieces. These create the LEG pieces. 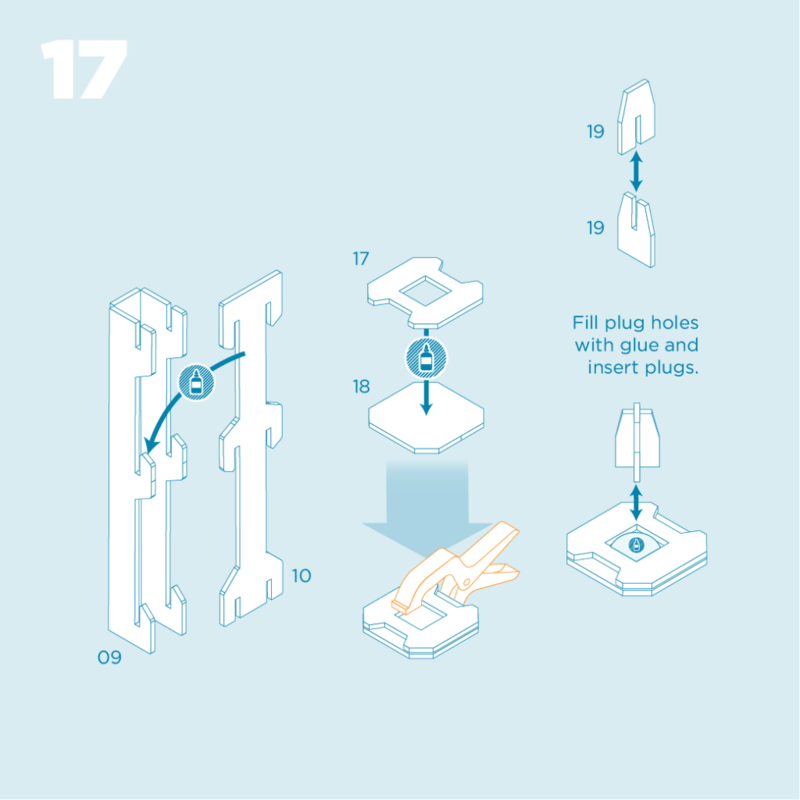 Glue and assemble pieces 25 & 26 as shown. These create the CRANE FEET pieces. 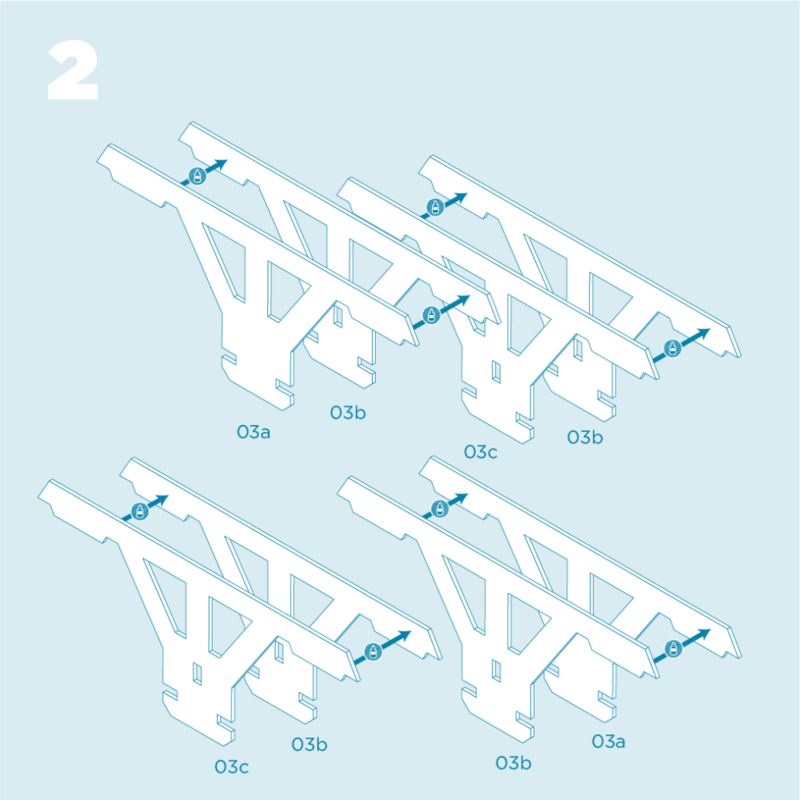 These create the SIDE LADDER pieces. Insert the LEG pieces into the CRANE FEET pieces as shown. Making sure the notched outer side of the LEG piece has the larger side facing up as shown. 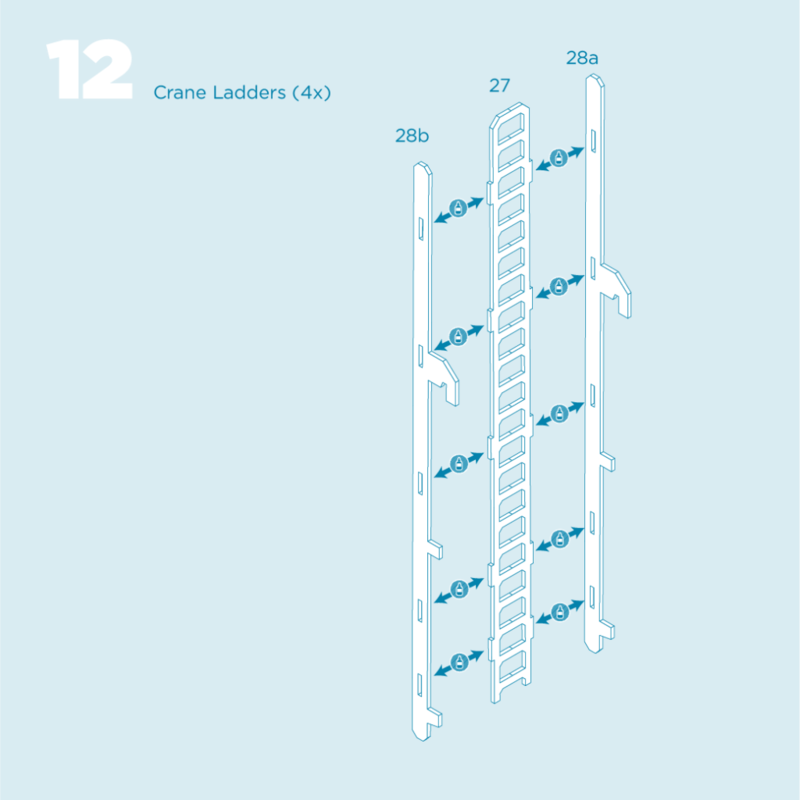 Hang the SIDE LADDER pieces from the LEG pieces as shown within the square cutouts. These create the LEG SUPPORT pieces. 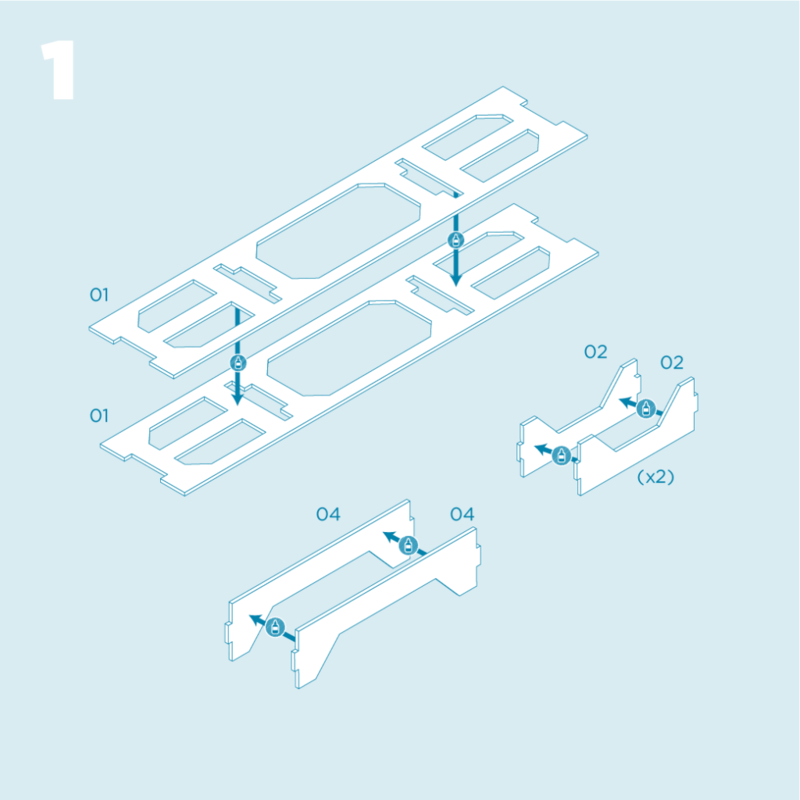 OPTIONAL – If desired for ease of assembly and storage you can glue these assemblies together. Please see TIPS & TRICKS video for the proper method. 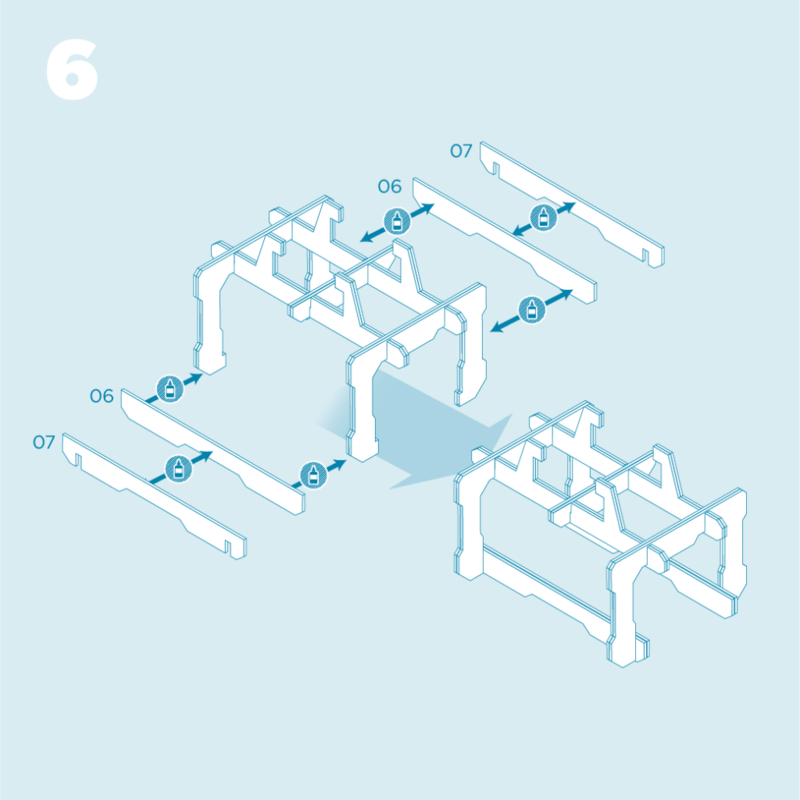 Place the assembled TOP SUPPORT pieces onto the assembled LEG SUPPORT pieces as shown. 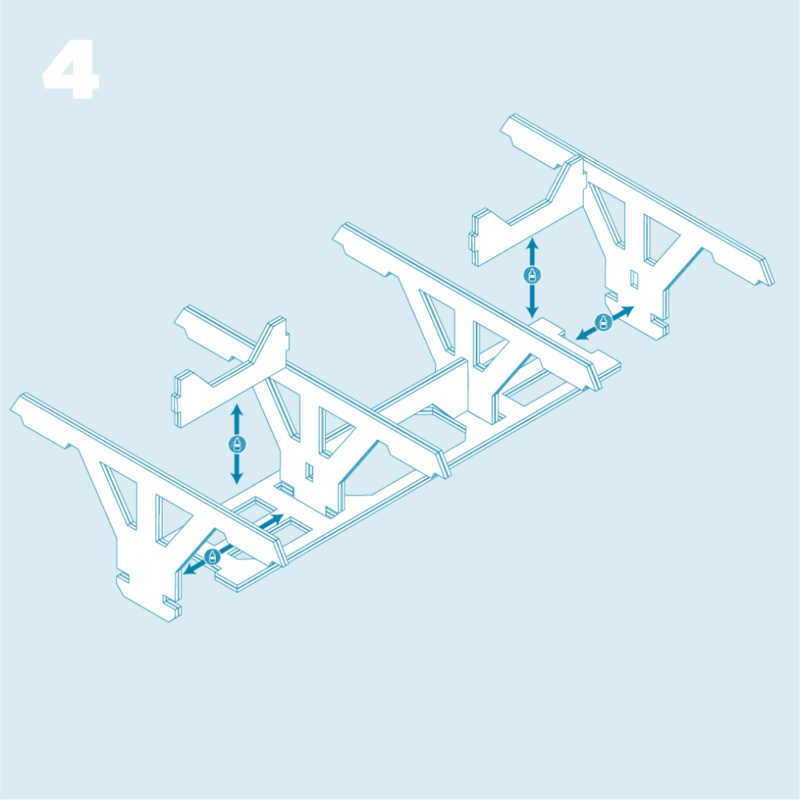 This creates two assembled CRANE STRUCTURE pieces. 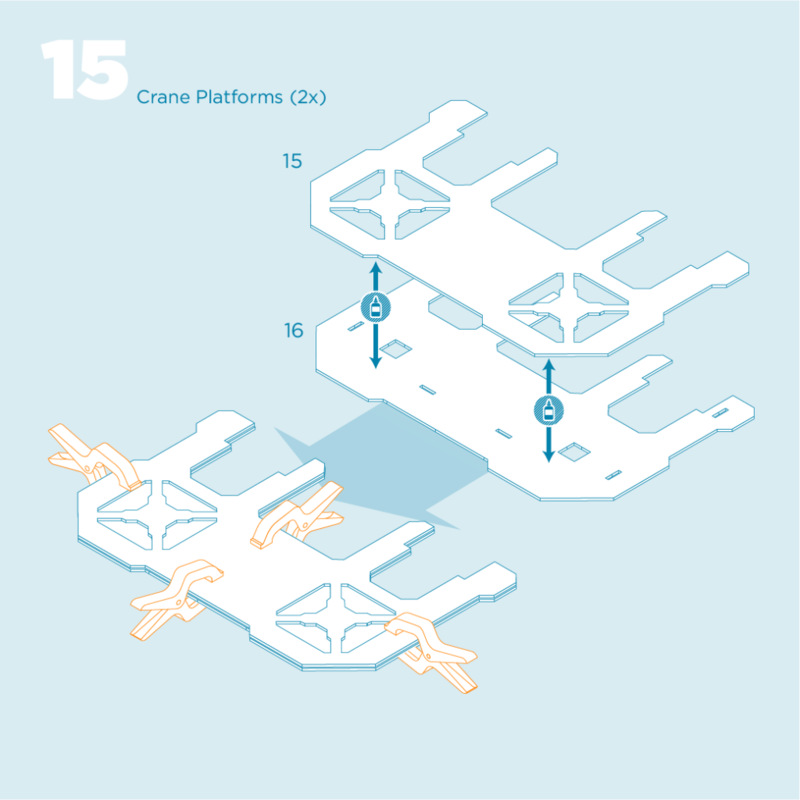 Glue and assemble pieces 15 & 16 as shown. 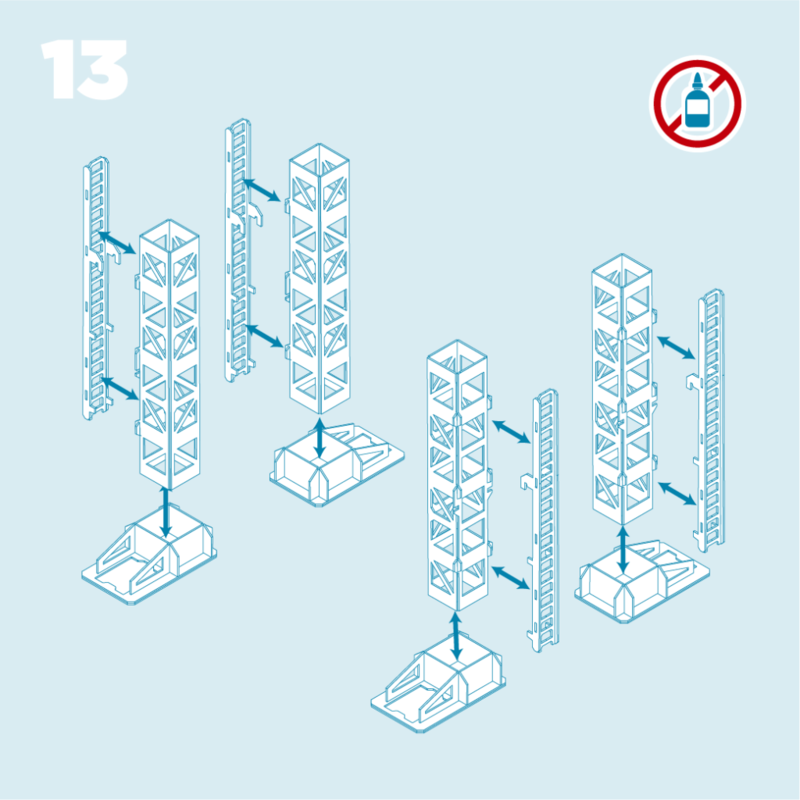 These create the PLATFORM pieces. 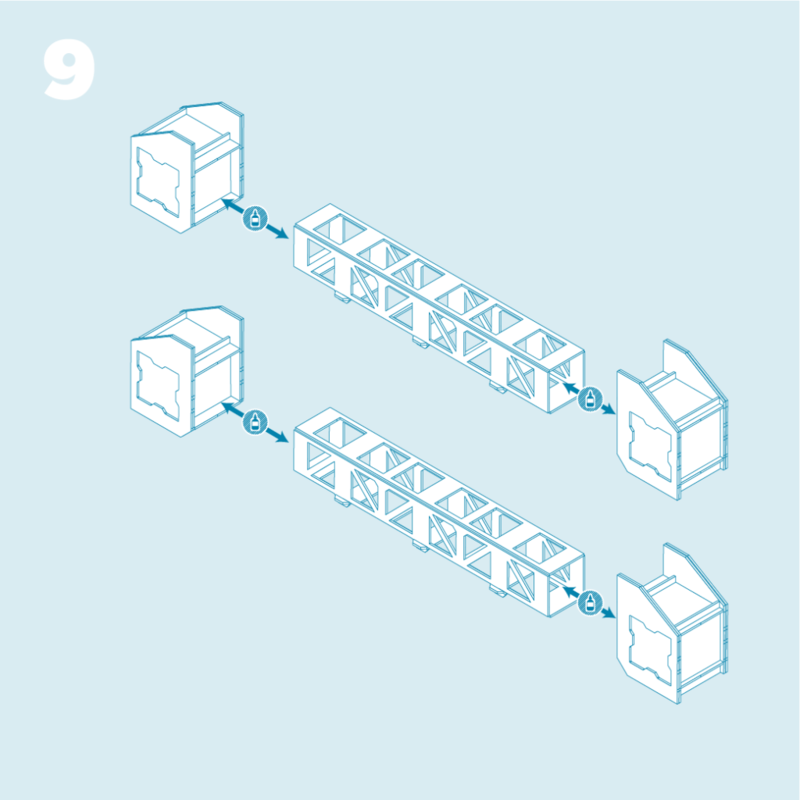 On piece 09 ensure all scores are crisply and evenly folded. PLATFORM pieces assemble onto legs & feet as indicated. Finally assemble all pieces together. 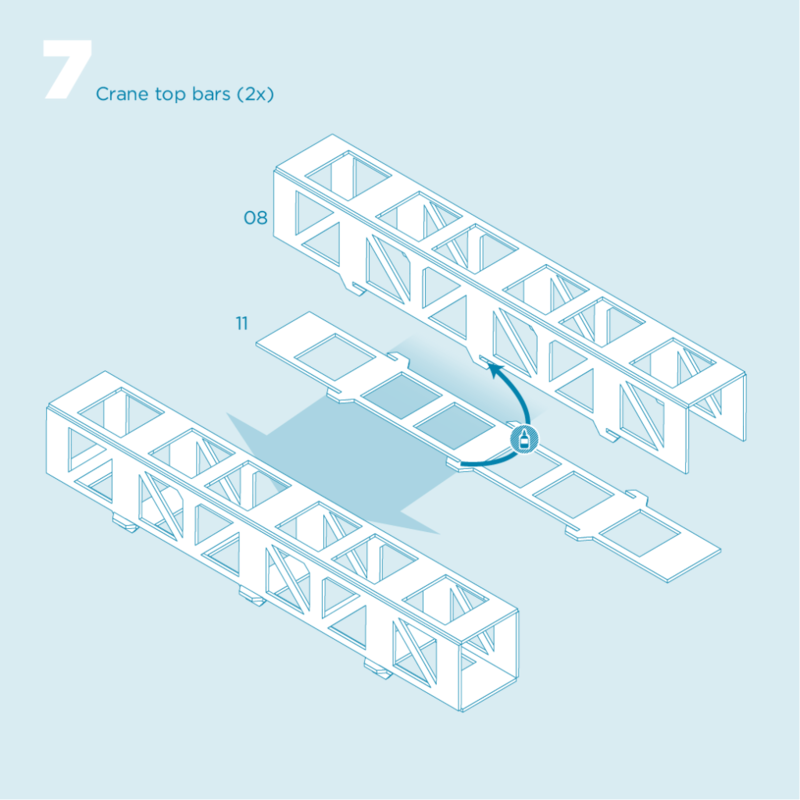 OPTIONAL – If you have Containers they will fit into the CONTAINER CRANE piece as indicated. Glue pieces 33 & 34 together first and let dry. When attaching pieces 32 & 32, insert tabs into slots on the front rolled edge face of the side pieces.